Or maybe not. It’s all a matter of perspective! I accidentally took this photograph of my dog Dingo walking on a giant mushroom. 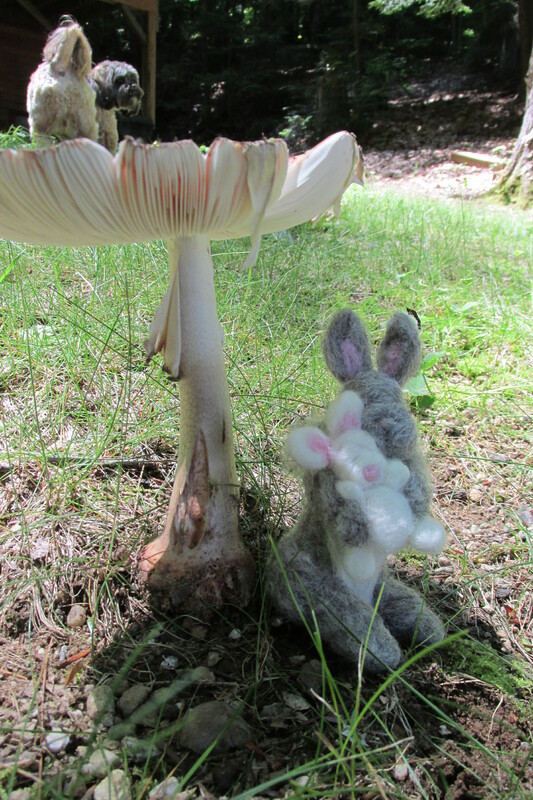 While the mushroom was large (I put a partially completed needle felt animal under to help show size), it was not big enough for my dog to walk on. 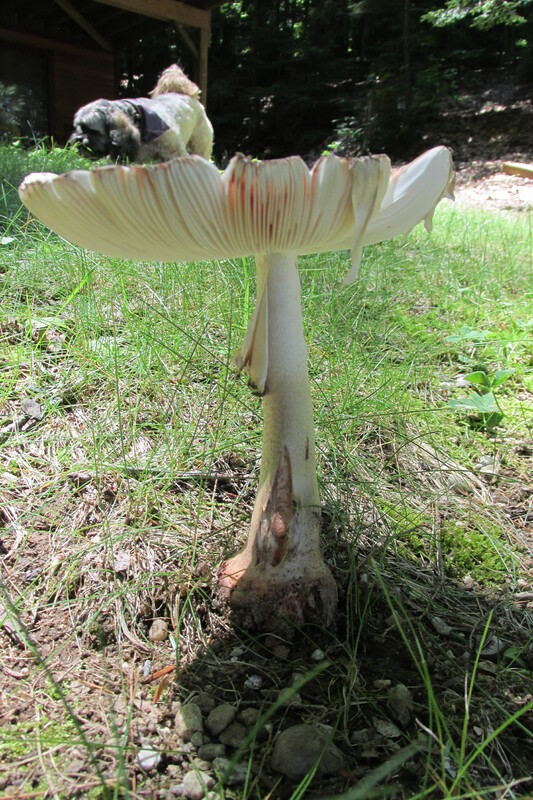 Little dog or big mushroom. Both, but neither is as little or big as this photograph suggests. In other words, when you see a photograph of a GIANT SNAKE, and the snake is very close to the camera and the person holding the snake is a bit behind it (usually extending the snake to the camera with a pole) that snake may not be quite as big as it looks. If I can do this by accident, imagine what people can do when they TRY. It was only by chance I noticed the small dog walking on this mushroom. The dog is not on the mushroom. its just about the angle of the shot. Oops. The ‘duh’ comment belonged here. She says that in the piece.